Vodka is a huge ingredient for cocktail recipes and is used in some of the very best known drinks. With the rise of flavoured vodkas, there are also loads of new ways to try classic drinks with differently flavoured spirits in them. So this means you could have an entire hen party with vodka cocktails and our buff butlers could mix and serve them for you! 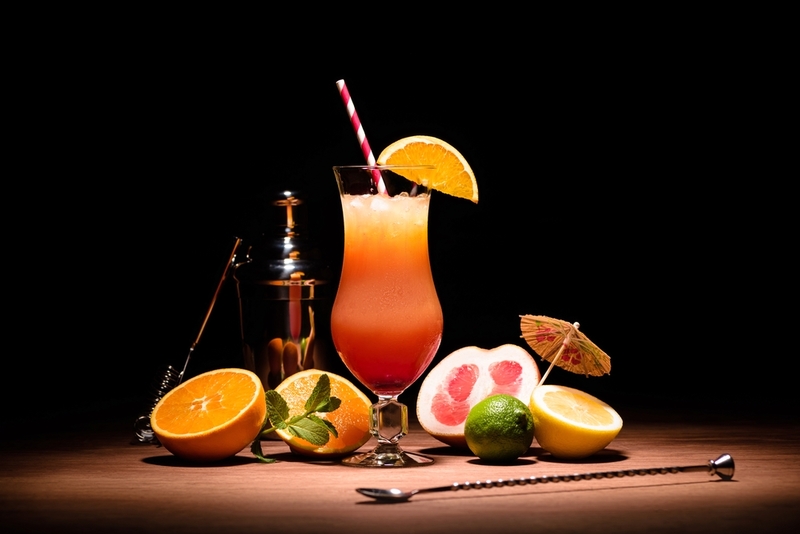 If that soundsperfect, here’s some drink recipe inspiration. When you are looking at vodka cocktails, it is always good to start with the classics, drinks that have been enjoyed for years and are still very tasty. For cocktails to make yourself, this one is a great starting place. You need 3 ounces of vodka and one ounce of dry vermouth (like Martini) added to a cocktail glass and stirred. Finish with a twist of lemon peel. To make a Dirty Martini, add a little olive brine and use a green olive as a garnishinstead. This cocktail is so famous it even has its own mug! Traditionally, it is served in a copper mug with a handle, but you can use normal glasses if you don’t want to buy the mugs. You need 5 ounces vodka, 4 ounces ginger beer and ¼ ounce of lime juice. Add ice to the mug then the drinks and stir. Garnish with a lime wheel. The Bloody Mary is a tall cocktail and isn’t for everyone but is a classic. It mixed vodka with tomato juice, horseradish, hot sauce, Worcestershire sauce, celery, lime and lemon wedges and a little black pepper. If you love strong flavours in your food, then this is the drink for you. If you love vodka, you will love flavoured vodkas. These started with some simple versions such as lime and green apple but there isnow a huge range of different flavours available. It is also easy to make your own flavoured vodka with a little preparation. The key to a good flavoured vodka is to find one that has an intense flavour but doesn’t taste artificial. Quite a few well-knownbrands offer their own flavoured vodkas range. Absolut is one of the best known and they have a staggering range of vodkas available. Smirnoff isanother big vodka name with flavoured versions. But you can get anything from lime, lemon and orange flavoured vodkas to unusual flavourings such as tiramisu, bison grass and pepper vodka. Just to show how easy they are to make, here are a few examples of flavoured vodka cocktails. You can use any of the different brands of vodka to try these out, but the examples were made with Absolut. This one mixes 1.5 parts lime vodka with 2/3 parts lime juice and ½ part agave nectar (you can get that in the supermarket). Add to a shaker with ice and strain into a rocks glass. For this drink, you need 1.5 parts pear vodka, 2.5 parts apple juice and 2.5 parts cranberry juice. Add all ingredients to a highball glass with ice and garnish with a lime wedge. Fruity and refreshing!